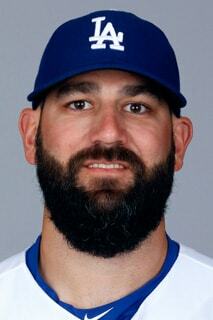 Recently, my longtime buddy Josh and I had a chance to hear former Dodger Ross Porter speak at the Skirball Cultural Center as he presented Baseball Stories. 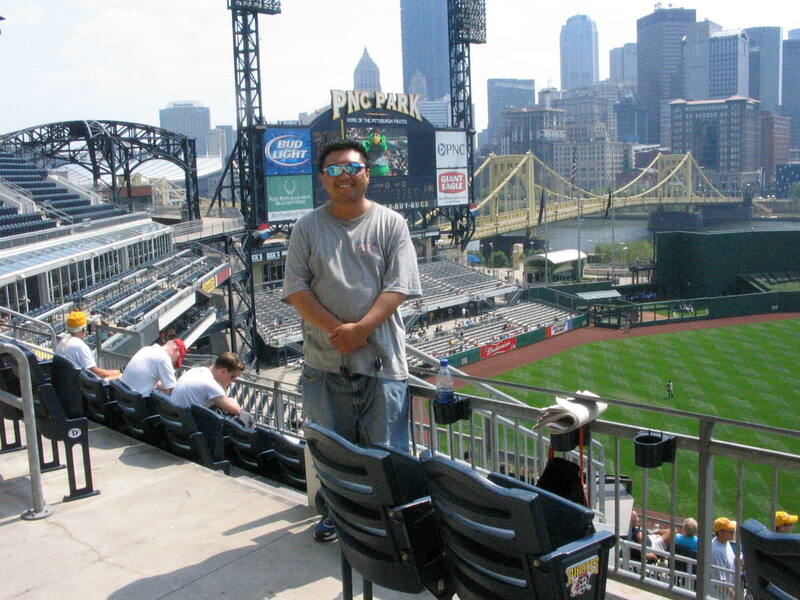 In this first audio Ross talks about growing up in Shawnee Oklahoma and his favorite team growing up…The Pittsburgh Pirates, and why he was a Pirates fan. 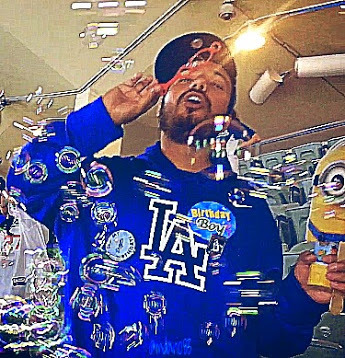 The Dodgers take on the Pirates tonight in the 2nd of a 3 game set at PNC Park, with the Boys in Blue winning last night behind 7 strong innings from Hyun-Jin Ryu and some early run support. 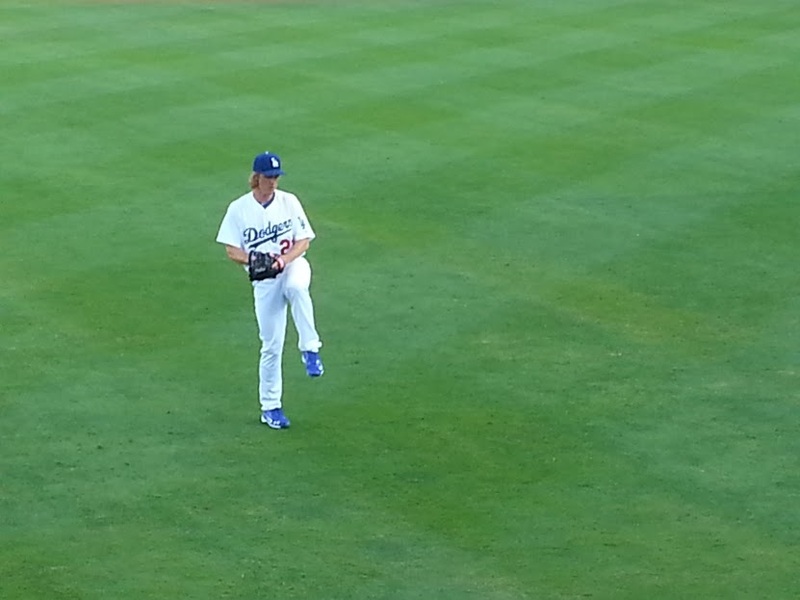 The Dodgers and Pirates are two of the most storied franchises in the bigs. Both organizations can proudly say that two of the games most influential players played for them. 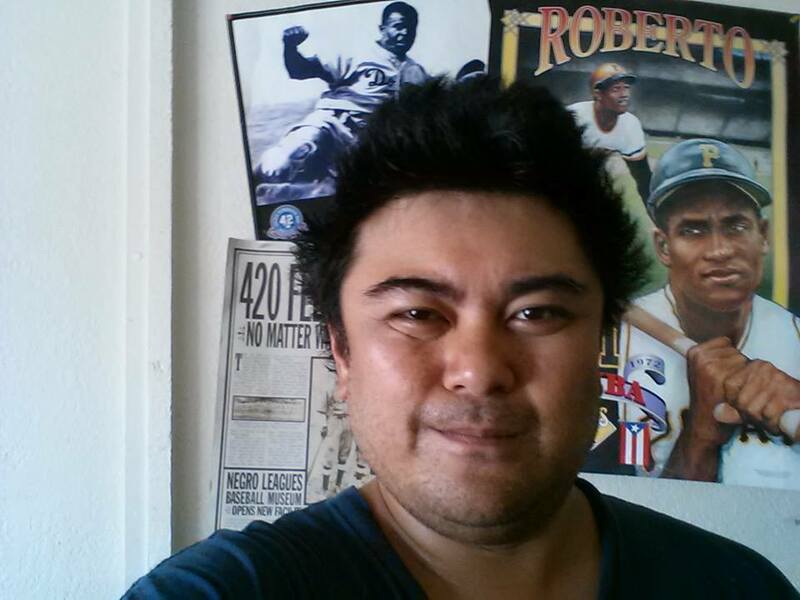 Two of my favorite pieces of baseball art, honoring Jackie Robinson and Roberto Clemente, numbers 42 and 21 respectively . Over the years I have been blessed with the opportunity to travel to various yards throughout my Stadium Journey quest. 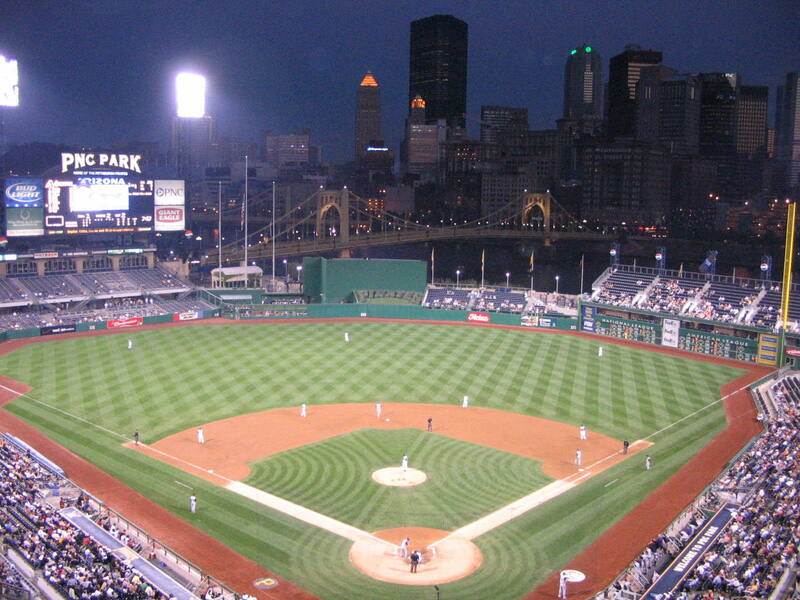 Putting personal bias aside, AT&T Park and PNC Park are no doubt two of the most scenic yards I have ventured to. So, in Drei’s book, how do they match up ? Both yards are very intimate in size. Both have scenic backdrops. Both have a sense of charm that are reflect the local culture…. 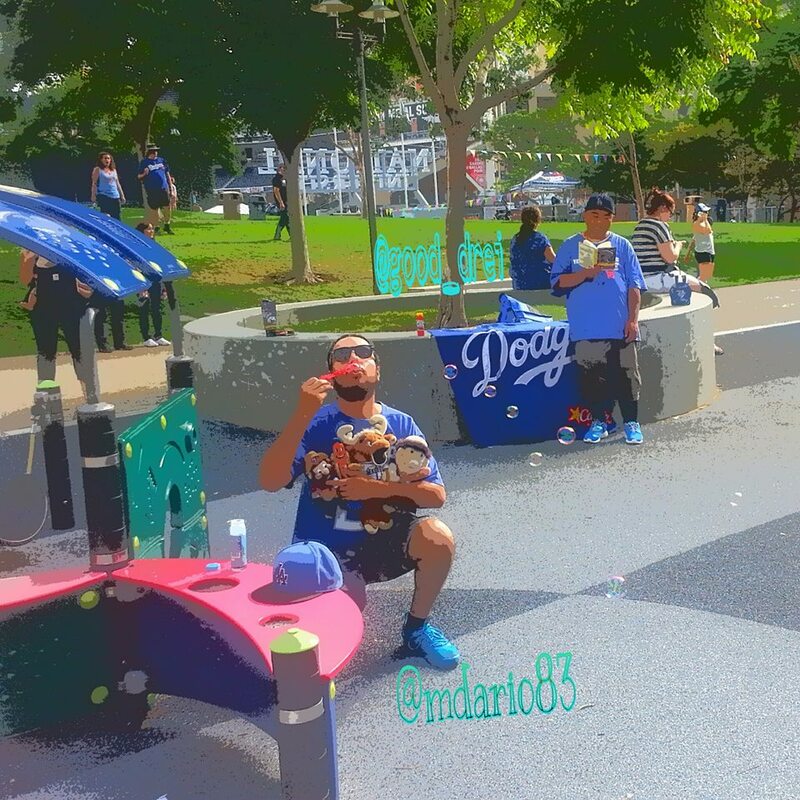 In and around AT&T Park, with a Touch of Blue…. These two yards really do rank highly in my ballpark journey’s. 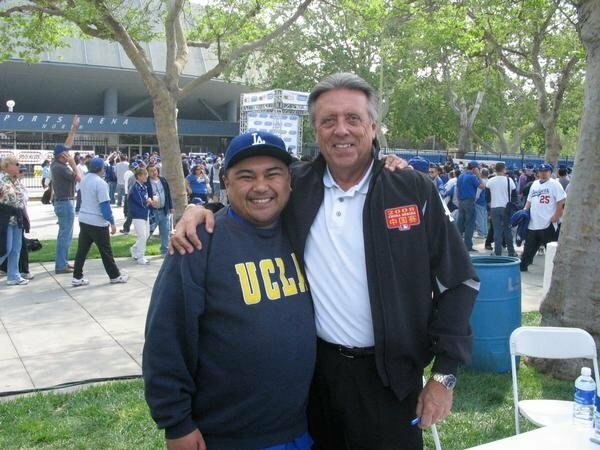 Outside The Ravine, if I had to choose which yard get’s the edge for that top spot in Drei’s book of ballpark’s traveled ? Hmm ? I think i’m gonna have to go with a tie-breaker on this one. Who get’s the tie-breaker ? Slight edge to PNC Park. Two factors. The first was a hard one. Skyline or water ? 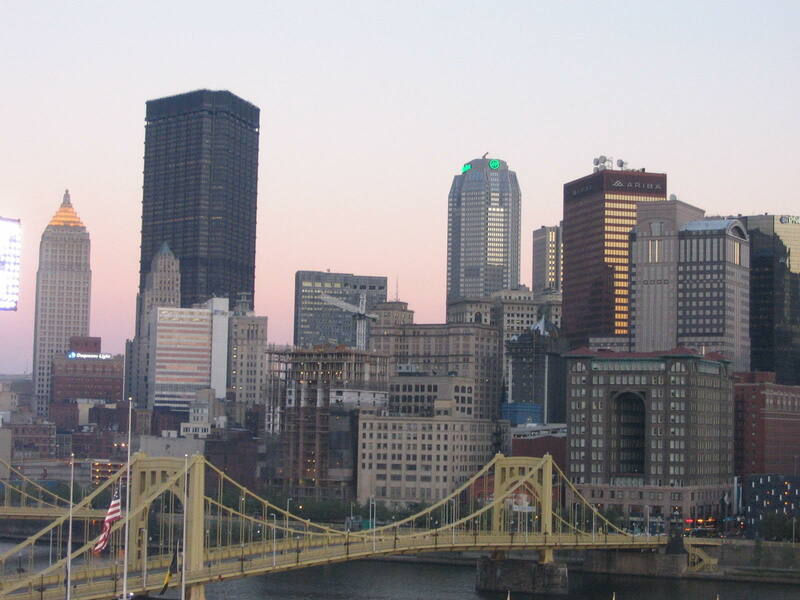 At night, the Pittsburgh skyline, accented with the Roberto Clemente Bridge, makes for a more picturesque backdrop especially at night. The second factor ? 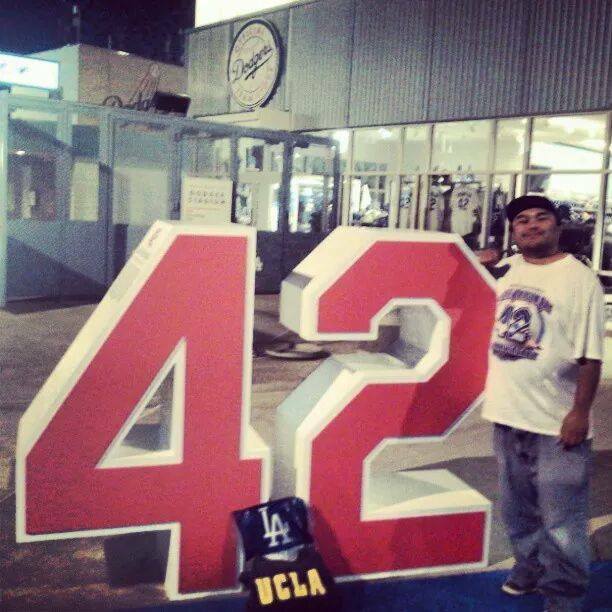 Let’s just say this… A Dodger fan just wrote this piece…. Kickin’ it with The Pirate Parrot. Hey, 2 straight October’s at PNC Park for you !!! 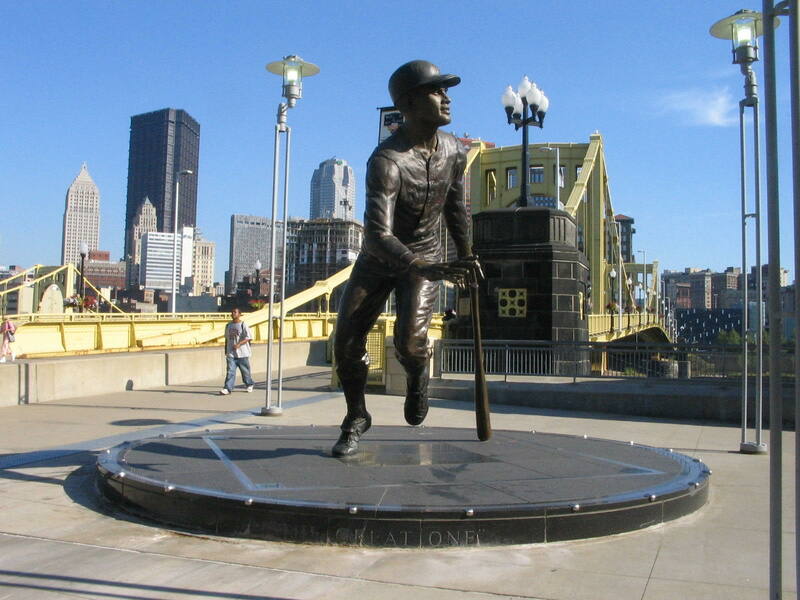 Roberto Clemente statue outside the left field entrance with the Roberto Clemente bridge in the back. 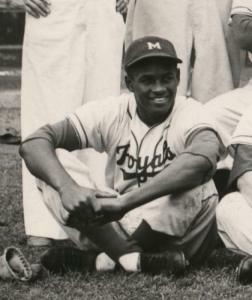 Roberto Clemente started off in the Brooklyn Dodger organization, playing for their farm system in 1954 with the Montreal Royals. 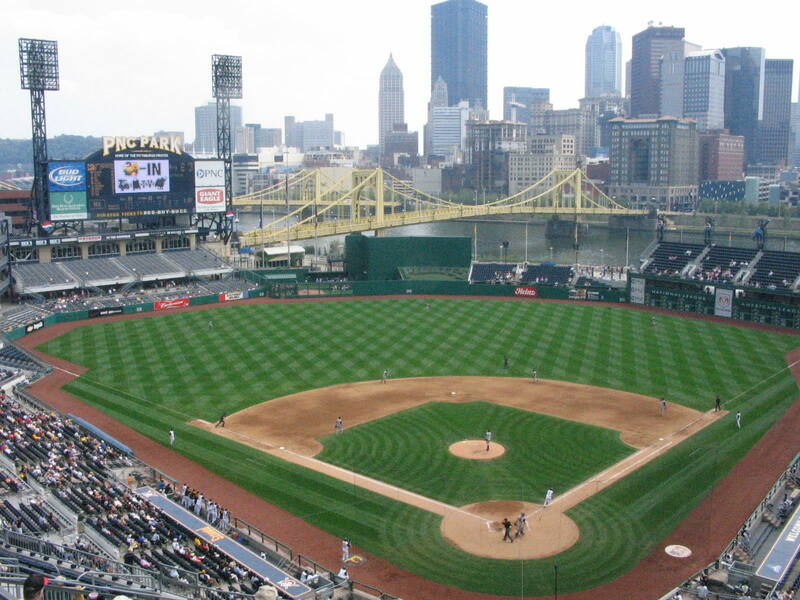 Here’s a couple of formal reviews of AT&T Park and PNC Park . 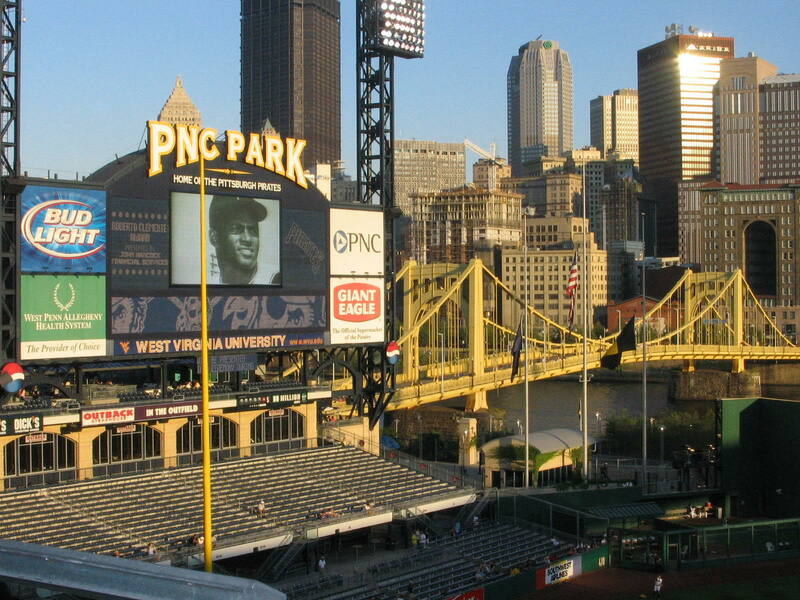 Need some tips on your ballpark travels for 2015 or other stadium ventures ? Check us out at Stadium Journey for your sports themed travel tips !!! 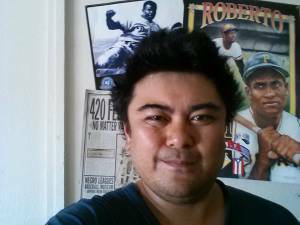 Most of you are familiar with Jackie Robinson’s story. 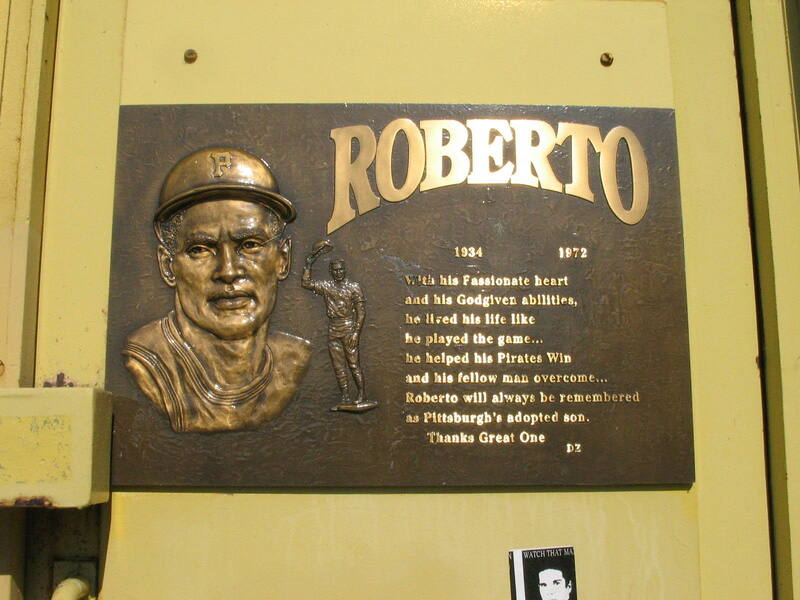 You may also be familiar with Roberto Clemente as well, especially if you are a fan of the Bucs. But did you know that Roberto Clemente played one season with the Montreal Royals in 1954 , the Triple A affiliation of the Brooklyn Dodgers. The same organization where Jackie Robinson played before his historic entrance to the bigs in 1947. There are plenty of tributes to Roberto Clemente in around PNC Park, one of my favorite yards I’ve had the privilege to visit. 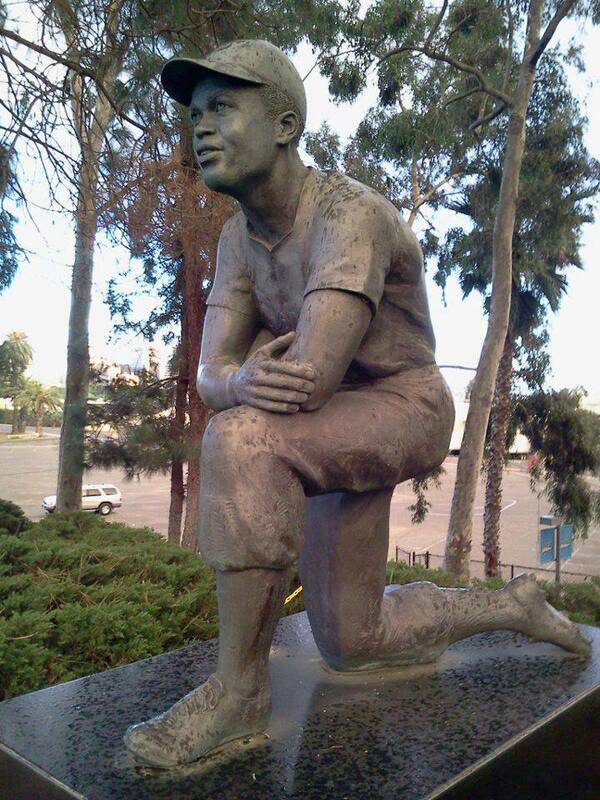 Located along the 1st base concourse at Jackie Robinson stadium in L.A.’s west side, where the UCLA Bruins baseball team plays it’s home games . 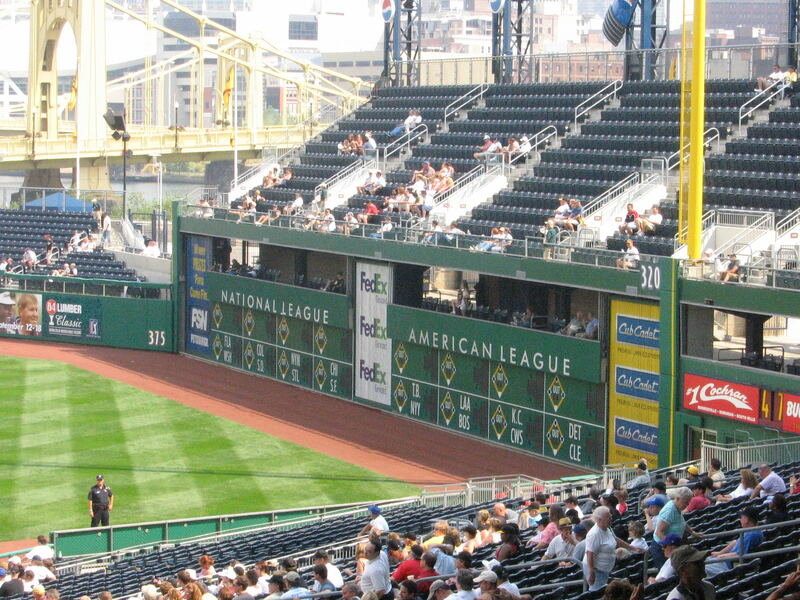 Why is the right field wall at PNC Park exactly 21 feet high ? 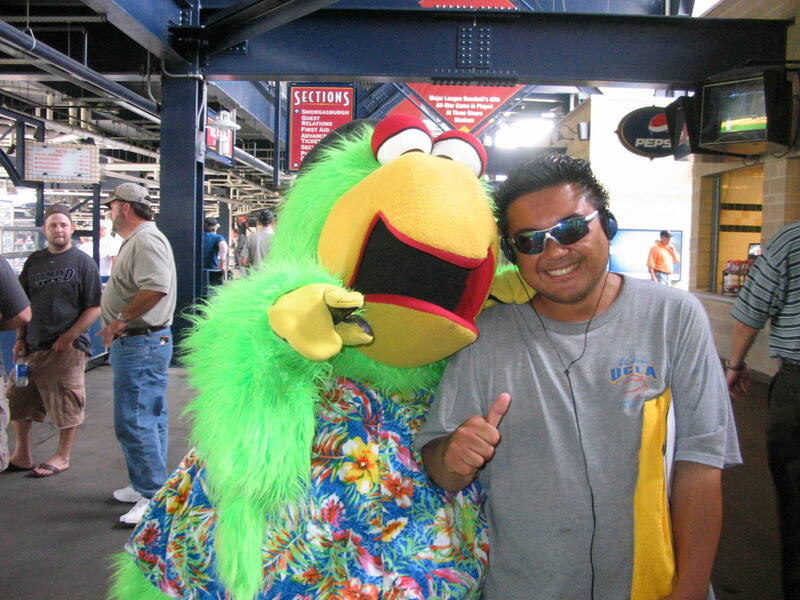 Another one of my furry friends i’ve befriended on my ballpark travels, the Pirate Parrot. Perhaps our teams may see each other in October Mr. Parrot ?